Is Grand Theft Auto the best video game ever? Currently, there has been no official launch date announced for the eagerly anticipated Grand Theft Auto 6. 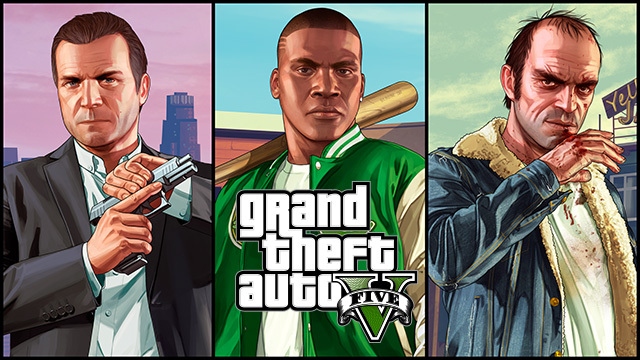 Fans of the game will have been hoping for an announcement by now, with the last release, GTA V released back in 2013. So whilst the gaming world patiently waits for the next installment, lets look back at the history of the game and reflect on whether GTA is the best video game series of all time. The story began back in 1997 with the original Grand Theft Auto, which was released on PS1, Windows and Game Boy Color. Not all people have been overly happy with the content of the game, with two large Australian retail chains Target and Kmart removing the game from sale back in 2014, following a petition regarding ‘sexual violence’. However, given that Rockstar applied a certification of 18 in the UK, the game has been accepted in most countries as an adult only game. What gamers seemed to really like about the game is the reality of the locations. Despite having fictional names for its three cities; Liberty City, Vice City and San Andreas, you can see almost immediately that they are based closely on the cities of New York, Miami and San Francisco. Seeing famous buildings and bridges brings that extra edge to the game that other games never seem to be able to match. Find out more about games like this at www.iwantcheats.net. Grand Theft Auto 2 was released in 1999, following the huge success of its predecessor. Then came GTA III in 2001 and GTA IV hot the shelves in 2008. Forbes recently published an article discussing how GTA V had sold 70 million copies and how it managed to pull in $1 billion in just three days at first release. Forbes also lists the three games that have so far outsold GTA V: Wii Sports (82.78 million), Minecraft (107.86 million) and Tetris (495 million). There is obviously still a lot of time ahead when it could make its way into the top 3 of all time game sales. Reports regarding shipping for overall franchise would sit the GTA franchise in 7th place behind Mario, Tetris, Sonic the Hedgehog, Super Mario, Pokemon and Call of Duty. It is widely thought that the release of GTA 6 will catapult the franchise much further up in the overall franchise rankings. So the stats show that GTA isn’t quite up there at the top of the best-selling charts but it is very close and over time, this looks likely to change. Giving that GTA is rated 18 in most countries and therefore, a large population of the gaming community are not legally allowed to buy the game, the sales figures are incredibly high. Mario, Sonic and Tetris all have a huge head start because of the amount of time since release and the fact that there was little competition for them in the gaming market at the time of their release.